I don't mind feet in general, but I do hate my own feet.. 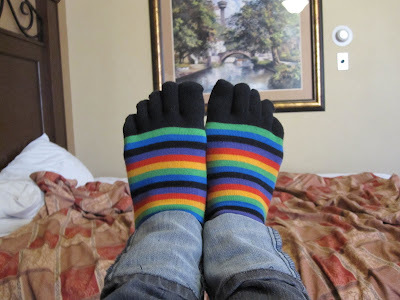 I've tried these socks before (and the vibrams, too), and have come to the conclusion that they only work if your feet are shaped a certain way. I find the shoes and the socks to be really uncomfortable - they just don't fit my toes right! Good to know about the socks :) I thought about them before, but I never took the plunge!